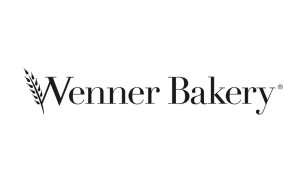 Wenner Bakery began working with Food & Drink Resources (FDR) close to five years ago. As a manufacturing partner, FDR will suggest Wenner products to food service clients seeking exceptional dough including frozen, par-baked, fully-baked, and thaw and serve. Brad Rowe, National Accounts for Wenner Bakery, has known FDR Co-Founder Scott Randolph from his time at TGI Fridays many years ago. In Scott’s new role, the pair began working together to spread the word about Wenner Bakery products. FDR has connected Wenner Bakery with Applebee’s, Schlotzsky’s, Houlihan’s, and others. Often, there is a product off-the-shelf that works or they are quick to create something new to suit the restaurant’s menu needs.